The Unknowable Country’s weekly look at news about the state of democracy, openness and accountability in Canada will return in January after a brief winter respite. In the New Year, I’ll also be posting columns on the affect newsroom downsizing is having on issue advocates, a simple change that could make our legislatures more democratic and the personal information our representatives should be disclosing to the public but aren’t. But, in the meantime, my best holiday wishes to you and yours. This entry was posted in Announcements on December 21, 2013 by Sean Holman. • Last week, I argued representation should not only be done but should be seen to be done. Tory backbencher Michael Chong’s reform bill may not help on either score. But a recommendation from the United Kingdom’s Independent Parliamentary Standards Authority, if implemented in this country, might help on the later one. The authority, which oversees and regulates MPs business costs and expenses, has recommended all elected officials should produce an annual report. If such a report included metrics on MP voting behaviour and public engagement — including how often they toe the party line — it could help show constituents how much representation is being seen to be done on their behalf. And if that representation isn’t being seen to be done, those reports could pressure MPs to publicly express their views and those of their constituents. • During my nine years as a legislative reporter, it seemed to me that public officials and institutions in British Columbia became increasingly willing to ignore requests for comment from the news media. I would hazard journalists in other provinces have experienced similar problems. But NPR’s On The Media has come up with a novel solution. After the program was unable to get answers from the Department of Homeland Security about policies related to the treatment of American citizens at airports and borders, it setup an online tool so listeners could ask those same questions of their elected representatives. But I wonder what resorting to that strategy means for the press’s position relative to the powerful in North American society. • “Bloomberg News has an an unusual practice of paying some of its reporters explicitly for publishing “market-moving” stories,” reports Business Insider Australia. A spokesperson for the wire service acknowledge that practice — which has raised eyebrows in some quarters — saying, “We strive to be first to report surprises in markets that change behaviour and we put a premium on reporting that reveals the biggest changes in relative value across all assets.” But I wonder what would happen if general interest news outlets adopted a similar practice, paying reporters explicitly for enterprise journalism that make a societal or political difference? • University of Manitoba political science professor Royce Koop and his University of Regina colleague Jim Farney will be soon be once again weighing in on place and status of constituency associations in our democracy. Over the summer, Koop and Farney presented a paper on that subject at the annual meeting of the Canadian Political Science Association. And now Koop announced, in a twitter posting, that he and Farney will be updating that democratic audit. You can find more of Giorno’s commentary on the conference here. This entry was posted in Democracy, Media on December 14, 2013 by Sean Holman. • While Canada debates a bill that could give our elected representatives more power to represent us, the United States government is promising to simply give its citizens more power. Last week, the Obama administration released its second U.S. Open Government National Action Plan. The plan commits the government to promoting participatory budgeting for local projects. 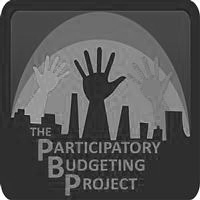 That’s a process by which “community members directly decide how to spend part of a public budget.” Under the action plan, the United States will also be rolling out metrics next year that can be used to measure public participation in government. • “Alberta’s ban on publicizing the names and photos of children who die in provincial care is one of the most restrictive in the country, robbing grieving families of their ability to raise concerns in public about the deaths, and sheltering government officials from scrutiny.” So reports the Edmonton Journal and the Calgary Herald, whose reporters Karen Kleiss and Darcy Henton have been investigating those deaths. Human Services Minister Dave Hancock said that law — which is enforced by a fine of up to $10,000 or up to six months in jail — will be discussed at a roundtable of MLAs and experts scheduled for January. But an Alberta College of Social Workers spokesperson said the group supports the principle of the ban for the benefit of the family and any siblings. This entry was posted in Democracy, Freedom of Information on December 7, 2013 by Sean Holman. More than seven years and 6,000 stories worth of British Columbia political reporting is back online. Due to technical issues, my old investigative news service Public Eye has been down for over eight months. But, with the assistance of City Caucus blog co-founder Mike Klassen, its coverage is once again accessible. So if you’ve been missing those archives, now’s your opportunity to revisit them. This entry was posted in Media on December 1, 2013 by Sean Holman.